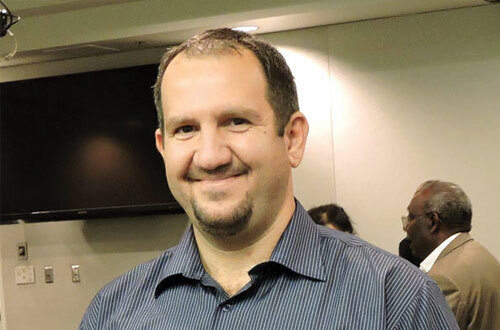 Neal Naser is a Mechanical Engineer from Iraq where he worked for the Iraq Ministry of Trade, designing HVAC installation and maintenance programs for private industry. In 2007, after he and his wife had their first son, Neal and his family decided that they could not remain in Iraq. Neal’s work for the Iraqi government, along with his family’s status as members of minority religious and ethnic groups, made them targets for violence. Shortly after arriving in Boise, Neal began working in non-engineering jobs that leveraged his engineering background. For almost a year he worked in northeastern Oregon as a production shift operator in a food processing plant. He then returned to Boise and worked for almost two years as a quality assurance operator in the semi-conductor industry. During this time, Neal realized that, to pursue a career as an engineer in the US, he would need to get an engineering degree here. Thus, while continuing to work, he attended Boise State University’s mechanical engineering program. Neal graduated from BSU in December 2014. He soon realized that obtaining another engineering degree was not enough to land a job and pursue his career as an engineer. After several unsuccessful attempts to obtain an engineering job on his own, Neal’s sister-in-law referred him to Global Talent Idaho (GTI) for assistance. GTI provided Neal with the skills and resources necessary to navigate the U.S. job market. In particular, GTI taught Neal how to write a professional, U.S. style resume and cover letter, connected him with a mentor, and helped him prepare for interviews. In addition, GTI provided training on U.S. job search and work culture. Neal reports that the most useful training he received from GTI was the training in interview preparation and in writing a U.S. resume style and cover letter. The most difficult new skill he learned was how to discuss his weaknesses in a job interview. Working in partnership with the Idaho Department of Labor, GTI also helped Neal find a quality and process engineering internship at Rekluse Motor Sports in Meridian in September 2015. When his 6-month internship ended, Neal stayed on at Rekluse as an engineering tech focused on manufacturing quality and process improvement. The position at Rekluse provides Neal with ongoing learning and training opportunities as he works to improve production processes and expand the company’s outreach to select vendors. At the same time, Neal is continuing his search for a full-time position as a mechanical engineer. Neal credits GTI for assisting him to develop the softer skills necessary to obtain a professional position in the U.S. and he is looking forward to pursuing a successful career and raising his family in the U.S.